We know what you’re thinking, “Best router for gaming? Any serious gamer is on a hard-wired connection!” We hear you, but everyone still needs WiFi in their home in order to survive. Thankfully, with the arrival of 80211.ac you can actually game over a wireless connection if you’re dealing with cable routing issues or another barrier that prevents you from going wired. Plus, the newest wireless protocol (80211.ac) is much faster than its predecessor, 80211.n, thanks to new performance-boosting features such as beamforming and MU-MIMO. The tri-band version of the fabled Nighthawk router (read our review) doesn’t really bring anything new to the table in terms of features as it’s a pretty standard Wave 2 80211.AC router, but it’s fast, reliable, and easy to use, and you can’t ask for much more in a router. We love its sleek design, flip-out antennas, and excellent performance. As far as features go it offers DLNA support, port aggregation if you want to deploy it in a SOHO setup, and if you’ve got any MU-MIMO devices/adapters it supports that too. It’s designed for a big house with a lot of devices, however, so this is only for folks who can saturate a dual-band connection. You can also get it on Walmart with free shipping in the US. The Nighthawk XR 500 (read our review) is the company’s first router explicitly designed for gaming, and it has the best interface we’ve ever used on a router care of DumaOS. Its primary purpose is to reduce connections to faraway servers when using a matchmaking service in a game like Call of Duty, so you can tell the router to refuse connections that are further away than any user-specified distance. It will also show you ping times to various servers even if the games themselves won’t. Plus it’s one of the faster routers we’ve tested, looks really cool, and has all the features we expect from a top-shelf router such as MU-MIMO and Quality of Service. If you’re doing any online gaming via console, it’s easily the best router you can buy. Get it at Walmart with free shipping in the US, too. 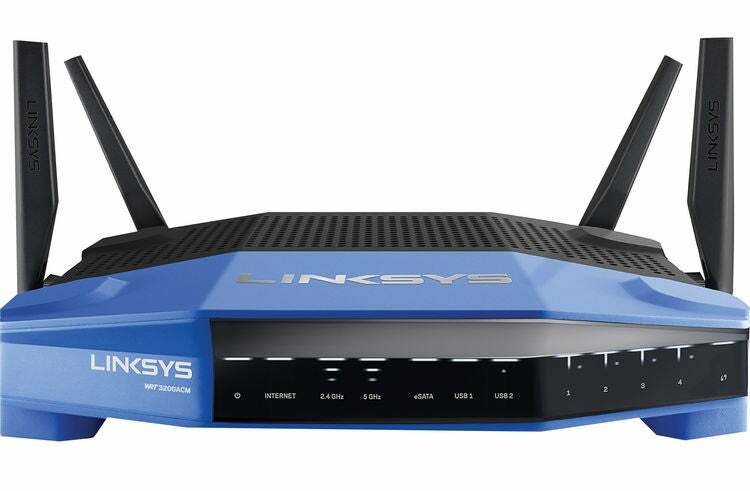 The Linksys WRT3200ACM (read our review) is a dual-band gaming router that really wants you to use an open source firmware on it, hence the WRT in its name. Of course you can run open source firmware on a lot of gaming routers these days, so the WRT 3200ACM isn’t that unique, but it’s still a cool feature for power users. 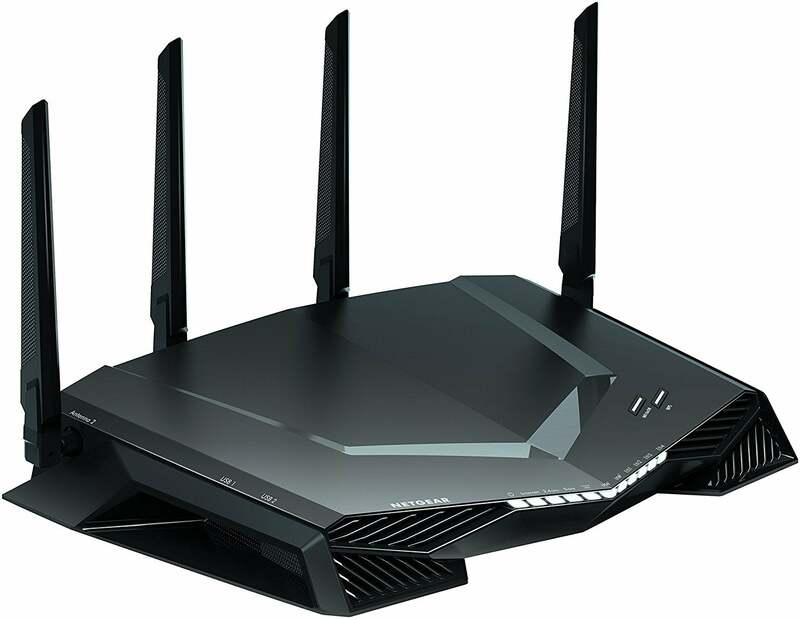 It was almost our top pick but lost out by a razor thin margin to the Netgear gaming router because it wasn’t quite as fast in our tests, and also because to achieve its rated speed of AC3200 you’ll need special hardware. It’s still a very strong package though with fast 5G performance and superb software on both desktop and mobile. Get it at Walmart with free shipping in the US. 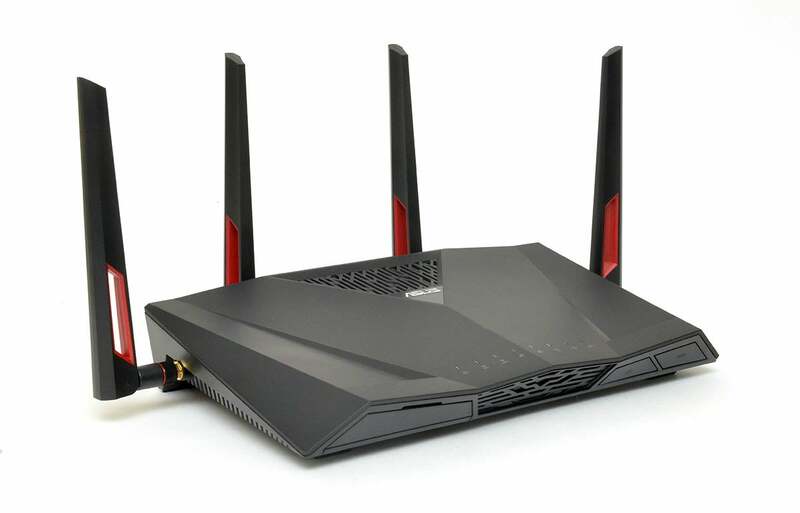 This is Asus’ top-shelf dual-band gaming router (read our review), and thanks to a bit of fancy tech baked in named NitroQAM it can offer up to 25 percent more bandwidth than other AC1900 routers when using a compatible adapter. In our tests its 5GHz band delivered decent throughput but it landed about mid-pack amongst the routers we tested. On the 2.4GHz band however, it was the fastest of all the gaming routers by a wide margin. It also boasts the ability to prioritize devices as well as types of traffic, and has extremely slick software for both desktop and mobile, making it an excellent and well-rounded gaming router for anyone. It’s also available at Walmart with free shipping. Josh Norem is IGN’s Executive Editor for Tech & Commerce, and has reviewed more routers than is legally permissible due to mental health laws. When he’s not upgrading his PC he’s either rescuing cats or photographing them.